We live in challenging times and all over the planet, people are having to deal with anxiety and stress. While the treatment of these conditions can sometime require medical attention, in many cases, people have come to rely on the unlikeliest heroes to help them navigate their anxieties: pets! Yes, pets, throughout history have stood with us, side by side, defending us, helping us, working for us, keeping us company… Keeping us away from stress and anxiety. Indeed, animals have this uncanny ability to help us confront challenges that might otherwise throw us into chaos and for many of us, life wouldn’t be the same without them, standing by our side. In fact, pets can do a lot more than just bring down the levels of anxiety in humans. Dogs for example seem to be able to sense when an episode of seizure is about to hit their humans, and when trained, can even take appropriate steps that might prevent a person from falling down and risk injuries, before the episode sets in. There are conflicting reports as to the validity of these types of claims and science is inconclusive on this this but the simple truth is that dogs have an extra sense which enable them to perceive things that humans don’t sense. One thing is also sure. The presence of a dog can be calming and soothing and the interaction between the dog and a human suffering from anxiety may help lowering that human’s anxiety or stress. 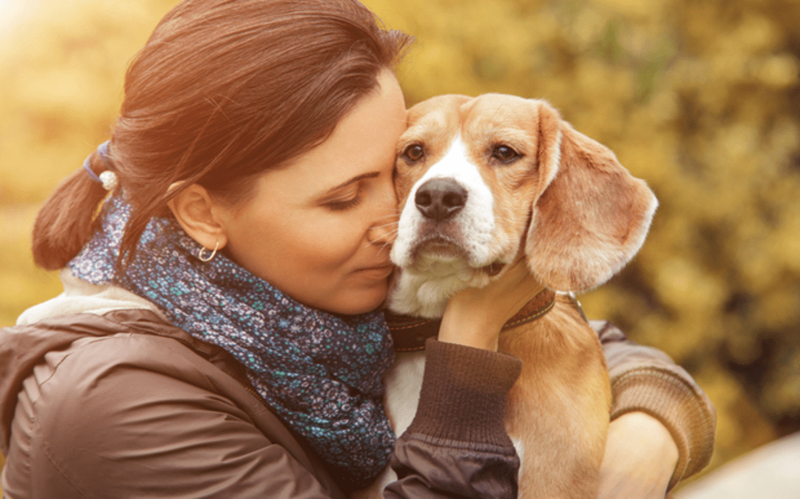 So how do pets help lower anxiety and stress? 1) A pet can remind you that you’re not alone! By offering unconditional love and friendship they transmit a soothing sense that helps lonely people feel less isolated. 2) Through their advanced and finely tuned sensorial capabilities, pets can detect if a person is in distress and thus act in ways that will help alleviate that person’s stresses. When a dog, or a cat senses that his owner is not feeling well for example, it will often behave in a manner designed to offer comfort. 3) Physical proximity and contact serve as a bridge between a person who feels alone and his cat snuggling tightly against him. The purring of a cat for example can be particularly soothing and some studies indicate that it may even help control high blood pressure in some patients. 4) The routine of taking a dog for his or her daily walk can bring about a sense of responsibility which in turns can serve as highlighting the sense of worthiness in people. For some, the stability of that daily routine can make all the difference between being anxious throughout the day and helping them make it through the challenges of that day. 5) Petting or stroking an animal has a soothing effect on humans and can bring about a sense of calm. The action of petting your dog or cat can help increase the levels of oxytocin while reducing cortisol, otherwise known as the stress-related hormone. 6) Dogs are social animals. People suffering from depression who bring their dogs to a dog’s park benefit from the social temperament of their animals who will oftenencourage interactions with other dogs and their humans. 7) Pets are excellent listeners and don’t feel the need to offer advice either. Anxiety is a difficult notion to understand and anxious people know that sometimes they don’t need advice, however well meant they might be. For them, no amount of wisdom will do anything to allay their fear. Pets are the best listeners and offer anxious people a unique conduit through which they can express their fears and frustrations. 8) Pets offer distraction which is exactly what people need. Focusing our attention on our pets, taking care of them helps us take our mind off our current worries. 9) Pets will wait for you at home, and welcome you after a long day’s work. They will keep you company when you feel lonely, make you feel secure if you are nervous and alone. 10) Pets never judge you. In fact, you can tell them anything, even be impatient with them and pets will never hold a grudge nor judge you. Anxiety and stress can be the symptoms of serious medical conditions and their treatment may require the expertise of a medical doctor. With that being said, it is unquestionable that owning and interacting with a pet can go a long way in alleviating some of the most common sources of anxiety such as loneliness, a sense of not belonging or fitting anywhere, mild depression and emotional upheavals. For that reason, it is crucial that we follow sound pet heath tips as taught by pet experts. Pets can’t talk, at least not in a language that we, as human can easily understand, but they are intuitive and can usually sense when something isn’t quite right with their human. They know when a person need a hug and will often times make themselves available for that hug. And we all could do with a hug from time to time. Stacey Connor is a freelance writer who loves to read and write articles on health and lifestyle. She divides her time between travel and lifestyle. She has recently completed her Bachelor’s in art History from the University of Chicago. You can find her on twitter Official Email id: StaceyConnor@5bestthings.com.